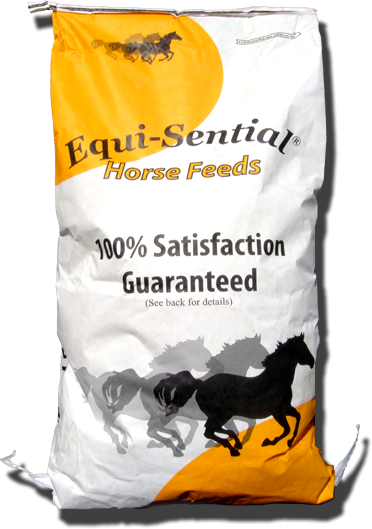 Textured feed for training and racing horses. It contains 14% protein to help build muscle with high levels of fat to provide a source of energy that will create less lactic acid in the muscle, (muscles will not be as sore after training). The feed is a combination of oats corn and pellets covered with molasses. Formulated with a high level of vitamin E, yeast to improve digestion and all the trace minerals to meet your horses needs.